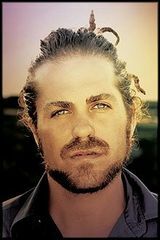 Versuri Citizen Cope - Mistaken I.D. METALHEAD.ro » Citizen Cope » Versuri Mistaken I.D. She says "Randy where you been? Say Randy how's that sound? That I finally found you"
You've always attracted them princesses"
Is "Randy where you been?"